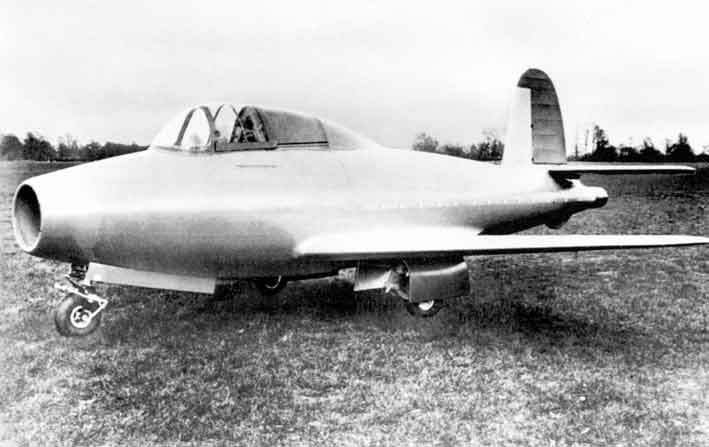 Designed by George Carter with the close collaboration of Frank Whittle, work on the Gloster G.40 started in 1938, Two different configuration were looked at. 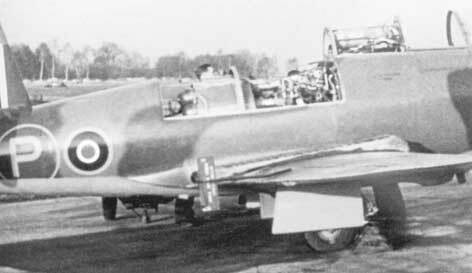 The first with a short jet pipe and a twin boom carrying the tail unit, which was based on a Gloster design for a Napier powered fighter to meet specification F.18/37, liked by Frank Whittle, who could see his engine replacing the piston engine. The second a more conventional design with a long jet pipe the length of the fuselage and a single tail unit, the later being chosen because of the unknown factors of the jet flow on rear end of the twin booms. An official contract SB/3229 was issued on the 3/2/1940 by the British Air Ministry for two prototype aircraft (W4041/G and W4046/G),stipulating that the aircraft must had provision for two .303'' machine guns in each wing, construction starting right away. The first prototype (W4041) was finished by April 1941 and on the 7/4/1941 was moved to Hucclecote for ground testing, some of which was done by Frank Whittle himself. By the end of April the aircraft was moved to the Gloster site at Cheltenham for some modifications, then in early May 1941 it was moved to Cranwell as it had a hard runway, were the W.1 engine was fitted ready for it's first flight. On 15/5/1941 at 7.45pm P.E.G. Slayer lined the aircraft up on the runway to become the first British turbojet engined aircraft to fly. 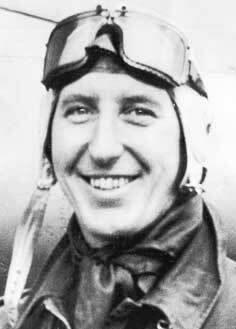 The second G.40 would not take to the air until 1/3/1943, being fitted with the Rover W.2B engine, however this aircraft was lost on the 30/7/1943 due to the aileron jamming at 35,000'. The first aircraft continued to fly with deferent engines, wings and other modification until the end of 1944, then in 1946 it was moved to the British Science museum were it remains to this day.